On 14 October 2013, ”Save Our Country Parks” is organizing a walk around Hoi Ha to show our concern over development and determination to protect country parks. The walk will start at Tai Tan to see large scale small house construction in progress, and end at Hoi Ha and the marine park. Our Country Parks are under threat by small house development in enclaves. Following the 2010 Tai Long Sai Wan incident, Government promised to protect enclaves surrounded by Country Parks against development. Yet the plans gazetted for enclaves including Hoi Ha by the Town Planning Board reserve land for large-scale small house developments. Set against a backdrop of mountains and with a spectacular view of the sea and Sharp Peak in Sai Kung Country Park, Tai Tan is one of the most beautiful villages in Hong Kong. It lies on a walking trail which is popular with weekend trekkers. It is home to abundant wildlife such as porcupines, monkeys, wild boars, kingfisher birds, and is a regular haunt for one of Hong Kong’s few fish owls. The approach to the village is a one-track lane lined with trees and a winding stream. up and surrounding trees and bushes have been hacked down. Hoi Ha village is an enclave which overlooks the Hoi Ha Marine Park, a Site of Special Scientific Interest (SSSI) and one of Hong Kong’s four Marine Parks. With distant views of mainland China on the northern horizon, Hoi Ha is surrounded by Sai Kung Country Park’s wooded hills on the landward side. Hoi Ha is a site of outstanding ecology with species of Conservation Interest both in the sea and within its woodland. The area attracts 100,000 visitors a year who make the 90-minute journey to escape the city’s densely populated urban jungle to bathe in the clean sea water, kayak in the sheltered bay, take delight in the many starfish exposed at low tide, and SCUBA dive and snorkel over the coral. The Town Planning Board’s recently released Draft Outline Zoning Plan panders to developers, paying only lip-service to protection of the Country and Marine Parks. The zoning will allow up to a hundred houses to be built. Mature woodland will have to be felled and farmland will be lost together with a rich diversity of flora and fauna which established since the land was abandoned more than 40 years ago. 1) For those who drive, please make sure you have a Country Park Vehicle Entry permit for the vehicle. Media who need assistance can contact Nicola (below). The 94 bus from Sai Kung Town Centre to Wong Shek Pier runs every 30 minutes and takes about 20 minutes to Tai Tan. b. Green Taxi from Sai Kung Town Centre to Hoi Ha takes 20 minutes and costs around HK$95. Join us! Click here to let us know you are joining us! Despite the promise in 2010 to protect against development in fifty four enclaves, the Town Planning Board has today gazetted statutory plans under section 5 of the Town Planning Ordinance for Hoi Ha (S/NE-HH/1), Pak Lap (S/SK-PL/1) and So Lo Pun (S/NE-SLP/1). 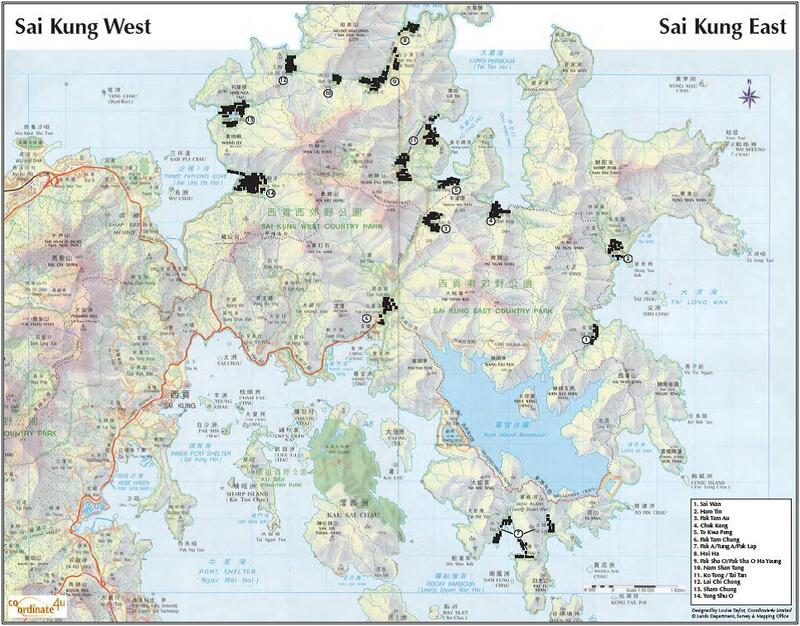 The zoning for the first three enclaves allow the construction of large numbers of Small (New Territories Exempted) Houses deep inside the Sai Kung and Plover Cove Country Parks. 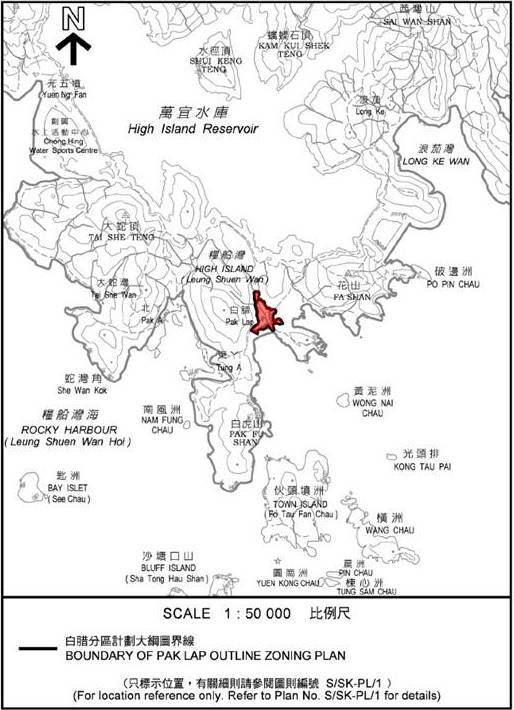 Assuming similar ratios for all enclaves, Designing Hong Kong estimates that the East and West Sai Kung Country Parks will see 3,000 and the Plover Cove Country Park around 4,000 new Small Houses. We are determined to save our country parks, we are ready to fight for it ! Difficulty: easy, suitable for families, you can bring your baby trolly. 1).Two hours before the event, the Hong Kong Observatory issued a thunderstorm warning, the 3rd or above typhoon signal or Red, Black Rainstorm warning, events will be automatically canceled. 2).Please bring your own drinks and adequate food, avoiding the use of disposable items. 3). Bring umbrellas and mosquito supplies. 4). Activities do not include insurance, please protect your own personal safety. “Save Our Country Park” action by Friends of the Earth Hong Kong, Hong Kong Dolphin Conservation Society, Society of Hong Kong Nature Explorers, Greeners Action, Greenpeace, HKWildLife.net, Sai Kung Tai Long Wan Concern Group, Friends of Tai Long Wan, the Conservancy Association, Designing Hong Kong, Green Power, Green Sense, the Hong Kong Association for Geoconservation, Lantau Buffalo Association, Green Communities, Friends of Sai Kung, Hong Kong Outdoors, Hong Kong Bird Watching Society, Ark Eden etc. We hope that through this joint action, expressing a message to all the people: to save our country park for every inch. We will organize a series of activities to raise public awareness about the importance of balance between development and the environmental conservation, we will propose constructive proposal to the community, to promote Hong Kong as a world’s leading cities in sustainable development. Let’s join together to take action for our home and next generation! 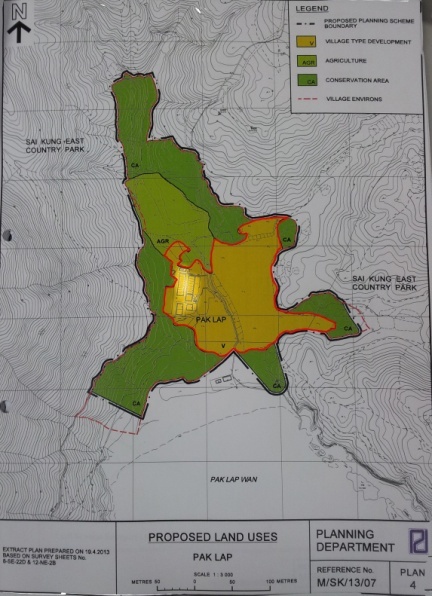 The minutes of the Town Planning Board meeting of 9 August 2013 show that it approved the publication of the Outline Zoning Plan for So Lo Pun with an area for 135 small houses. 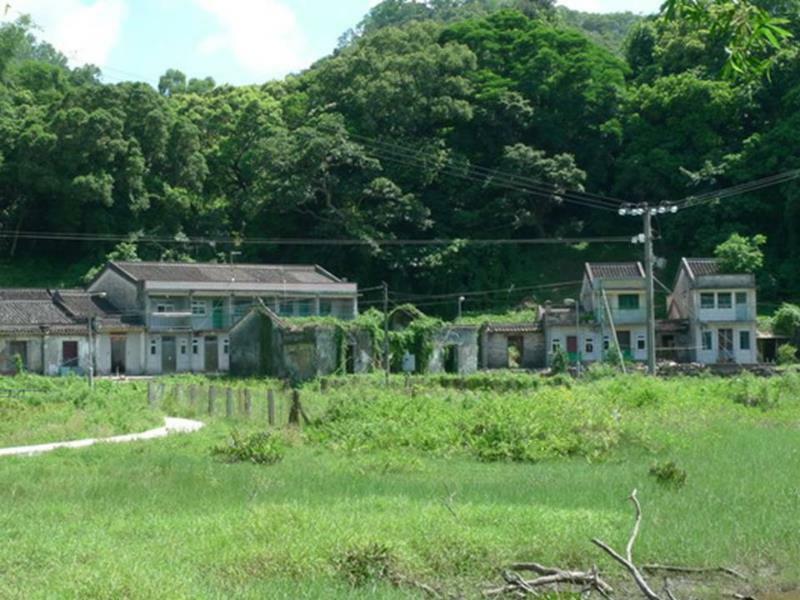 The Country and Marine Parks Authority – the Director of the Agriculture and Fisheries Department – failed to object to small house developments in So Lo Pun, and failed to stop the invasion of small houses in the Plover Cove Country Park. So Lo Pun is an abandoned village on the outer edge of the Plover Cove Country Park without road access or sewerage, in an area with a sensitive ecology. 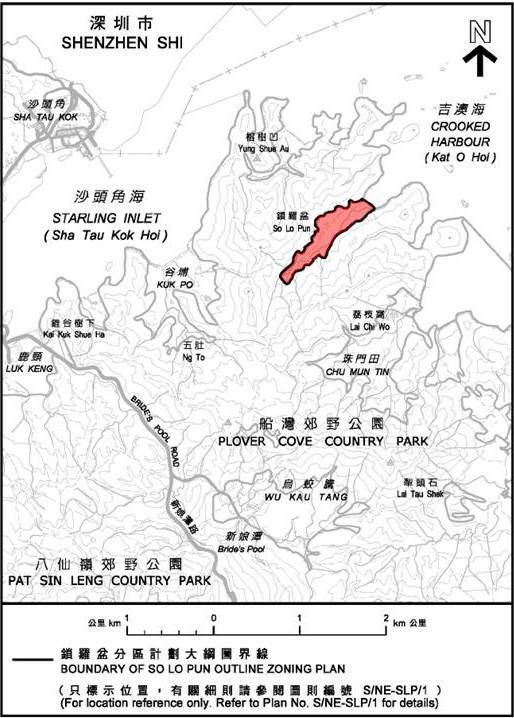 Find out more about Plover Cove Country Park at the Government’s own website. There are no outstanding Small House applications for So Lo Pun as land owners have no interest in living there. 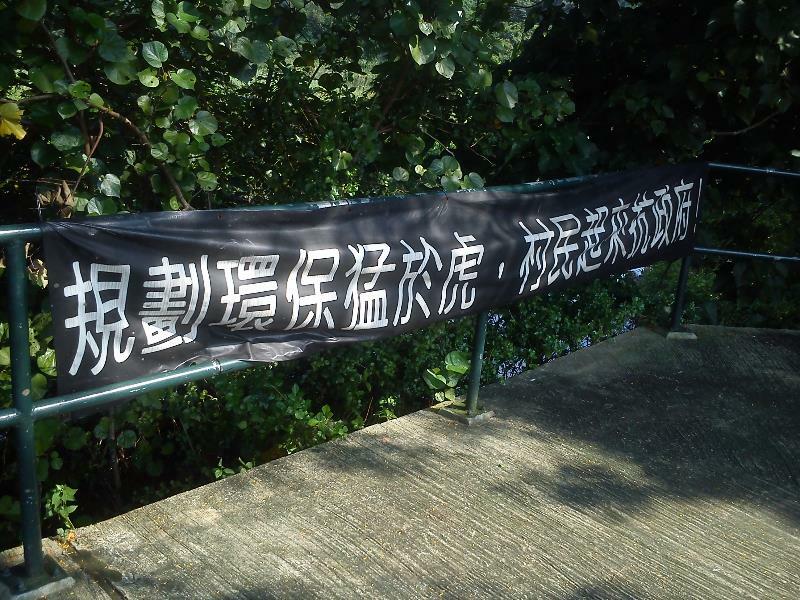 But keen to profit from development rights villagers rallied together protesting against conservation with banners throughout the Plover Cove Country Park. They wrote letters to the Town Planning Board claiming they would return to the village in the future. The village representative estimated an entirely unverifiable 10-year forecast demand of 270 small houses, and an even larger v-zone was included. 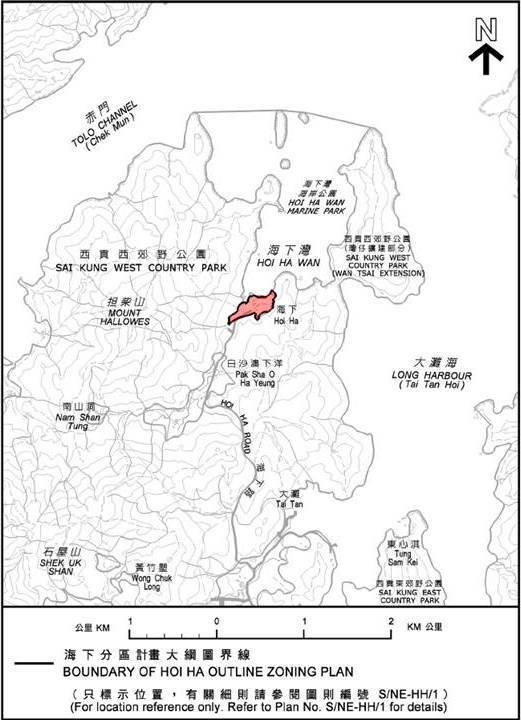 So Lo Pun is the first of seven new enclaves to be zoned for small house developments in the Plover Cove Country Park. The future spread of the small house cancer can be seen from the locations of the enclaves. Demands for roads to support the developments are already being made. The Outline Zoning Plan allows for such public works and infrastructure. 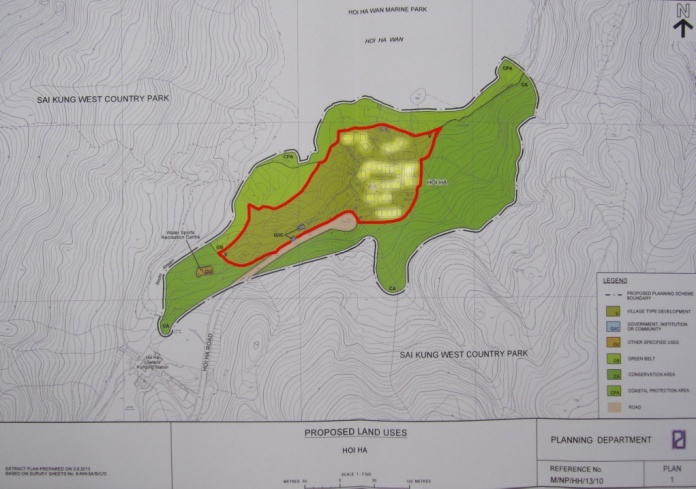 The environmental impact of the cumulative house and infrastructure developments permitted in So Lo Pun and Plover Cove Country Park as a whole has NOT been assessed before granting approvals. The existing enclave Wu Kau Tang (Marked B in blue on the map) shows how the environment will degrade under the Small House Policy. 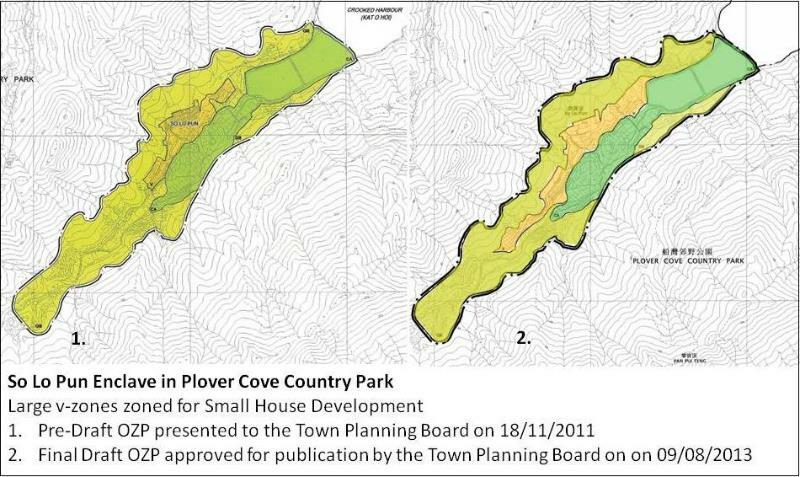 With the failure of the Planning Department and the AFCD to stand up to the Lands Department and the Heung Yee Kuk, the small house cancer will be allowed to destroy the Plover Cover Country Park. The community should reconsider its options. 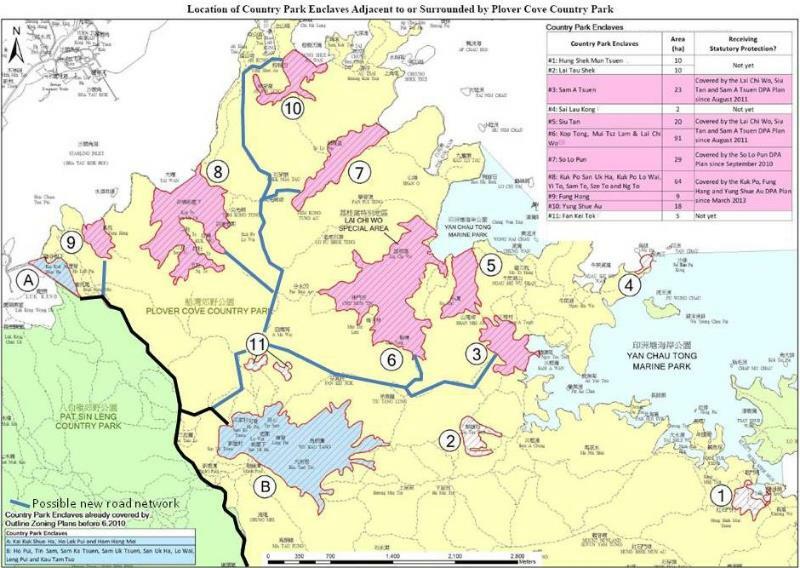 These enclaves of private land can be included in the Country Park, with compensation reflecting the agricultural purpose of the block Government leases. Up-zoning these areas for village house development first will increase the public cost for resumption and compensation. Alternatively, compensation might be considered by means of land exchange to villagers/land owners when their private land is zoned for conservation. Either way, it is not too late for the public to stand up against the small house destruction. Despite objections from green groups and conservation experts, Government has given in to the Heung Yee Kuk with large development zones for small houses inside country parks. During today’s meeting, the Board agreed to publish the first 2 draft Outline Zoning Plans in the Sai Kung Country Parks. Based on the land zoned for small house development (v-zones) in Pak Lap and Hoi Ha, it is estimated that more than 3,000 small houses may be built inside the country park once the full 320ha of all 19 enclaves is zoned. The community will have two months to object and tell the Heung Yee Kuk to take their hands off our country parks. Hoi Ha (S/NE-HH/1) is a village of 8ha with 34 houses adjacent to the Hoi Ha Marine Park: 80 more houses can be built on the new v-zone and green belt ‘expansion’ area. The second zoning approved today is for Pak Lap (S/SK-PL/1), a village of 6ha with 20 houses: 72 houses can be added despite the lack of access (oops, not counting the illegal road built recently). The flood of new small houses will destroy the Sai Kung Country Parks. There has been no environmental impact assessment of the cumulative impact of the zoning for small houses, nor has the Country and Marine Parks Board considered the combined impacts of these developments on the Sai Kung Country Parks. There are around 500 houses in the ‘inner’ Sai Kung Country Park – past the gate at Pak Tam Chung. Creating development zones for 3,000 new small houses will increase demand for transport and increase road traffic during construction and after occupation when each house can have 3 flats, and each dwelling can have two vehicle permits. This creates the need for road widening and improvements works such as street lights affecting the entire inner country park. 1. There is no sewerage and village houses depend on percolation through the ground from septic tanks and soak away pits, contaminating underground and surrounding waters. 2. Storm drains are laid at random by private contractors for each house separately through the surrounding country park to nearby waters. 3. Expedient connections from baths, and often kitchens and toilets pollute the storm drains, and nearby waters. 4. No access, roads, paths or parking spaces are provided forcing residents to resort to unlawful road construction and illegal occupation of government land in country parks. 5. Each house is either exempted from site formation or developers construct their own platforms. 6. Excavation, land filling, platform and small house construction lacks quality controls. Land formation, excavation and slope stabilization is random and of poor quality extending well into the country park. 7. The location of each house is subject to application and ownership of previous paddy fields rather than based on well planned village layouts. This leads to chaotic developments as can be seen in all village environs in Hong Kong. 8. And we have yet to explain the environmental pollution of the actual construction of individual houses by village contractors. 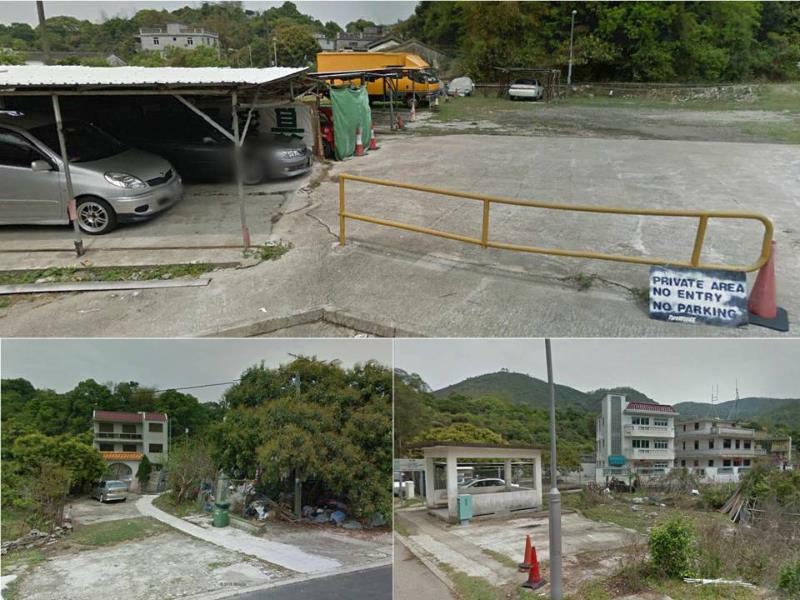 The Town Planning Board is approving the destruction of the Sai Kung Country Parks with small house developments. Pak Lap has 20 houses today. The red line indicates the land made available for new small houses. Hoi Ha has 34 houses today. The red line indicates the land made available for new small houses. Living Lamma volunteers collected and sorted waste found in Pak Kok beach on Lamma Island by brand label. 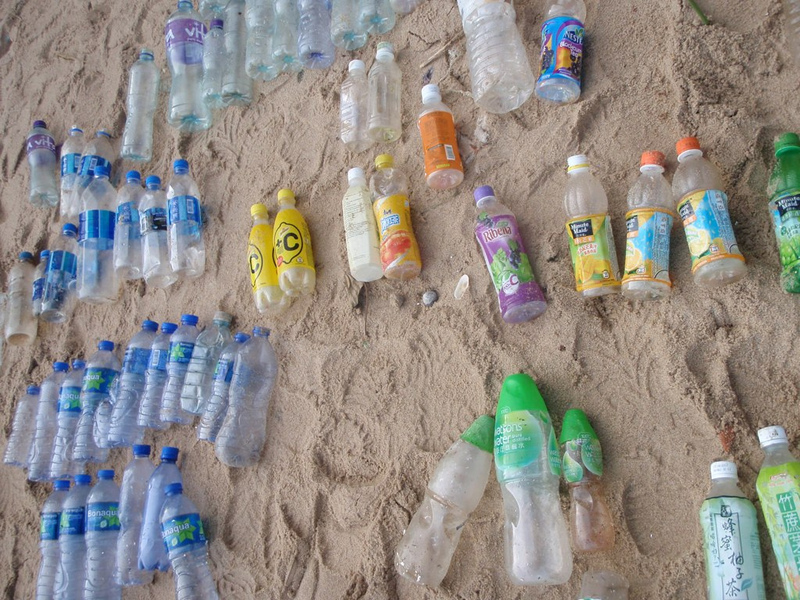 After 3 clean ups, 1112 plastic bottles with 761 different identifiable brand labels were found. VITA WATER is the brand which has the most bottles (23% of all identifiable bottles) littering the beach surveyed. In second place is BONAQUA with 13% of bottles found. In third place was COOL Water with 11% of identifiable bottles found. A full report is attached. Living Lamma and Designing Hong Kong see the “Brand on the Beach” award event as part of a growing “Pick It Up” attitude in Hong Kong. People are responding to a positive attitude which promotes: “Don’t just look at the trash or complain about it, pick it up.” Last summer, members of the public helped clear up plastic pellets after the Vicente Typhoon. The AFCD has removed waste bins from Country Parks and asks people to carry their waste out of the parks. 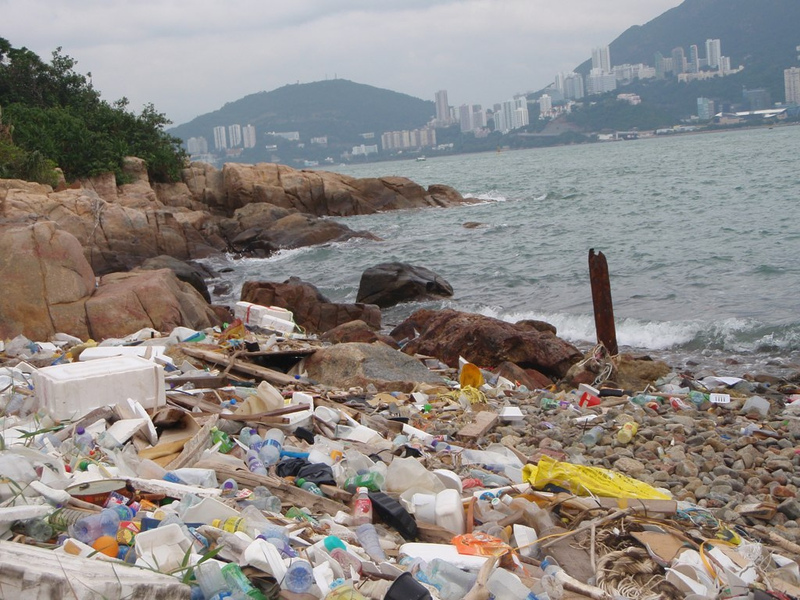 An increasing number of people are getting involved in coastal clean-up campaigns. “Next, we hope fast food chains will ask patrons to return their food tray to a cleaning station before leaving. Maybe they can consider discount coupons in return. It is no longer about ‘not littering’, but about ‘picking up’ garbage. A campaign everyone including retailers and brand companies can help with.” Paul Zimmerman concluded.